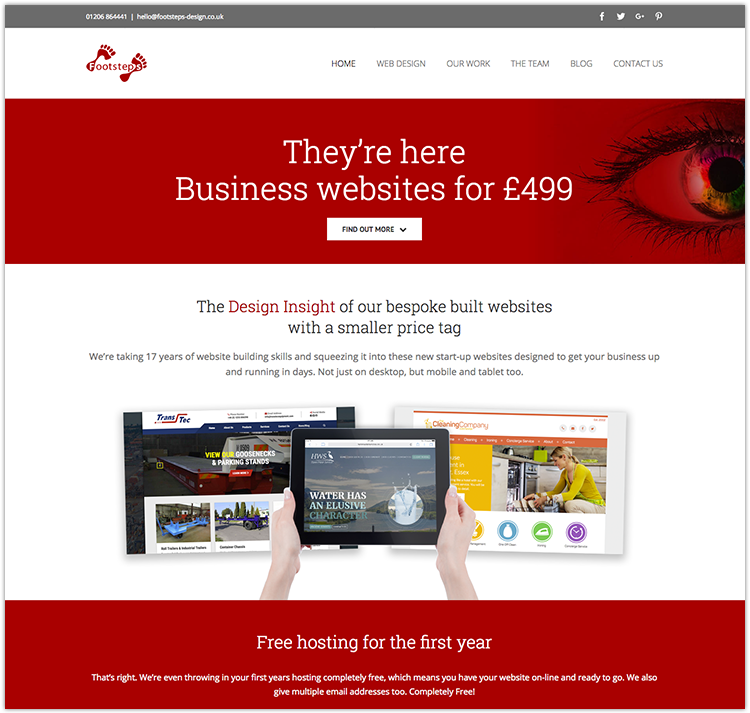 We’re squeezing over 17 years of website building skills into these cleverly themed-websites designed to get you on-line and in business within days. Stunning website design across desktop, mobile and tablet ensuring you reach 100% of your audience. With multiple pages and features including Google Maps, Contact forms and Blogs. The blog is optimised through categories and tagging features, to make the best use of search engine rankings to promote your business. Website management couldn’t be easier via the superb WordPress editing features. You will be able to change content in the easy-to-use content management system, add images via drag and drop and keep everything up to date. Nothing is scary, it’s child’s play, honestly. Your website is submitted to Google and the whole site is built optimised to give you the best chances of getting found in the search engine rankings. You will also have access to Google Analytics and Google Webmaster tools so you can keep track on your website visitors. That’s right. We’re throwing in half price hosting for the first year, free domain name transfer, and set up of multiple email addresses for free too. Websites built mobile optimised, SEO-friendly and submitted to Google. Google Analytics and Google webmaster tools as standard.